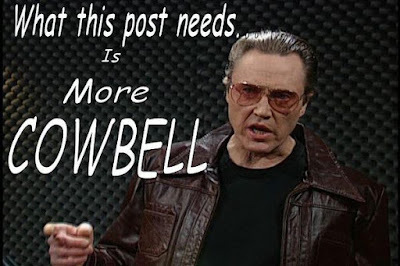 “What this battle needs is MORE COWBELL!” That’s what blogger Stephen T McCarthy wrote on a recent battle of the band post. But Stephen T McCarthy isn’t just some blogger spouting off. He is the co-founder of the Battle of the Bands Blog Hop, and current ringleader of a rowdy bunch of bloggers that sometimes listen to what he has to say. The Battle of the Bands is a musical blog hop that occurs on or around the 1st and the 15th of each month. As I only post Monday, Wednesday, and Fridays, the posting date will be as close to those dates as possible. Here’s how the BOTB blog hop works: I’ll be posting two versions of the same song and after you give a listen to each, place your vote for your favorite and reason for the way you voted in the comments section. 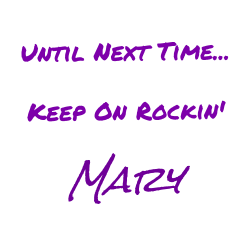 The other blogs participating in the Battle of the Bands are posting different battles using different songs, So once you’re done voting and commenting on my battle, take a moment to visit the other participants and vote & comment on their battles. There are some really good battles going on! You, Sir, asked for MORE COWBELL, and MORE COWBELL is what you are going to get! Blue Öyster Cult's longest lasting and most commercially successful lineup included Donald "Buck Dharma" Roeser (lead guitar, vocals), Eric Bloom (lead vocals, "stun guitar"), Allen Lanier (keyboards, rhythm guitar, backing vocals), Joe Bouchard (bass, backing vocals) and Albert Bouchard (drums, percussion, backing vocals). The band's current lineup includes Roeser and Bloom, as well as Jules Radino (drums, percussion), Richie Castellano (keyboard, rhythm guitar, backing vocals), and Kasim Sulton (bass, backing vocals). "(Don't Fear) The Reaper" was written and sung by the band's lead guitarist, Donald "Buck Dharma" Roeser, in 1976. The song is built around Dharma's opening, repetitive guitar riff, while the lyrics deal with eternal love and the inevitability of death. Dharma wrote the song while picturing an early death for himself. While this battle was intended as mostly tongue-in-cheek, I spent hours upon hours listening to the large number of covers of this song. I finally narrowed it down to two worthy contenders, who had videos that don’t have any restrictions in other countries. (According to the YouTube restriction checker that I use). So hopefully, everyone will be able to listen and cast their vote for the winner of a special coveted trophy created specifically for this battle. The Alice Band were a pop group formed in 2000 by Rob Dickens and featured the artists; Charity Hair from Florida, Amy Lindop from Glasgow and Audrey Nugent from Dublin. All three artists were vocalists and played guitar. There isn’t much information online about this band, other than the one album they had titled The Love Junk Store, released in 2002. Amy Lindop, now known as Amy Belle, and Audrey Nugent are solo artists. Charity Hair is the lead singer for The Ailerons and singer for Red Sky July. 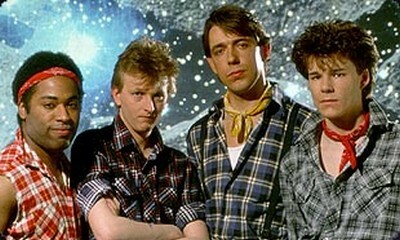 Big Country is a Scottish rock band formed in Dunfermline, Fife, in 1981. The height of the band's popularity was in the early 1980s, although it retained a cult following for many years after. The band's music was most recognizable for the sounds it infused with Scottish folk and martial music styles, as well as for playing and engineering their guitar driven sound to evoke the inspirational spirit of bagpipes, fiddles and other traditional folk instruments. Alright now, it’s time to cast your vote! In the comments, please enter who you are voting for and why you chose them. Stay tuned, results will be posted on the 9th! You can check out all sorts of playlists related to this blog RIGHT HERE, including all of the songs for the previous Battles of the Bands!